Thursday is the last day of the Kentucky General Assembly, with decisions still looming on several high-profile bills. But if you wanted to show up at the Kentucky State Capitol and protest, you’ll be turned away. According to an emergency regulation put in place by the Bevin administration in January, any person or group wanting to protest at the capitol needs to submit an application ten days in advance. But the rules regarding capitol access are different for lobbyists. Click to listen to Becca's story about how an emergency regulation could prevent last-minute protests at the Kentucky State Capitol. 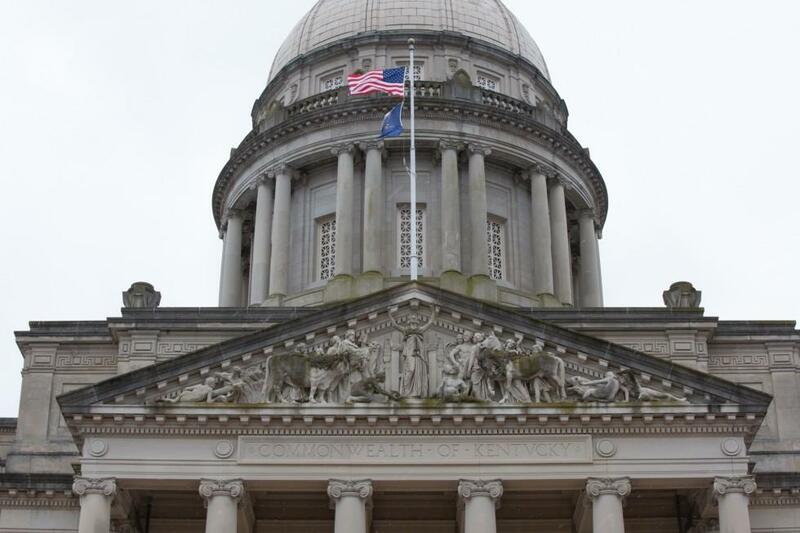 The emergency regulation puts tighter restrictions on access to all state-owned facilities and grounds, including the state capitol building in Frankfort. Those restrictions apply to visitors, but lobbyists are paid to be at the Capitol year-round. Attorney General Andy Beshear issued an opinion last month that said the emergency regulation is invalid because it doesn’t state the nature of the emergency. Beshear pointed out the new rule was instituted on the eve of the 2019 General Assembly session. “What this administration tried to do is prevent it from being challenged until after the session was over,” he told WKU Public Radio. Beshear’s opinion also said language used in the regulation might violate the Kentucky Open Meetings Act and is vulnerable to constitutional challenges. A statement from the Governor’s Communications office said Bevin would continue to issue orders that protect the safety of state employees and the general public, and accused Beshear of issuing opinions to further his run for governor this year. John Schaaf, Executive Director of the Kentucky Legislative Ethics Commission, said because lobbyists are at the capitol year-round, they can give information to lawmakers at a moment’s notice to strengthen their clients’ position. “That’s a big advantage that a lobbyist, that a paid lobbyist has over the average citizen who has a job back home in Bowling Green or Pikeville and they can’t come to Frankfort like a lobbyist can on a daily basis,” he said. Schaaf said groups that employ lobbyists have to pay a registration fee. They also have to report what their lobbying activity will be, bill numbers they’re interested in, or describe the legislative action they’re lobbying on. Schaaf said lobbying groups also have to report if they’ve spent any money, how much they paid their lobbyists, and any events they invited legislators to. He said last year more than $23 million was spent on lobbying in the Commonwealth. Opponents of the emergency regulation worry it could eliminate the ability of groups to quickly mobilize and go to the state capitol to protest controversial legislation. Bevin’s emergency regulation came after large groups of public educators showed up on short notice at the capitol to protest proposed changes to their pension plan in the last legislative session. The Kentucky legislature has passed a bill banning abortions once a fetal heartbeat can be detected, sending the measure to Gov. Matt Bevin to be signed into law. Within minutes of the bill’s passage on Thursday night, the American Civil Liberties Union announced it would sue to block it. A fetal heartbeat can be detected as early as the sixth week of pregnancy, earlier than many people are aware that they’re pregnant.